What does Account Balances do? When managing advertisers or partners on your platform, you can choose to set them up with either of the billing modes: prepayment (payment of a deposit, from which bill will be extracted from) or postpayment (payment upon receiving invoice). The Account Balances feature allows you to manage these billing modes by providing you the overview of changes, displaying how much each account has at the beginning and end of the period that you select. Customisable, you may also select from various entities, advertiser labels, advertisers, and export them into CSV or XLS files. What is new in Account Balances? We understand that our clients as well as their marketing partners, are either presently or potentially active in multiple markets with different currencies. This means you want to manage your financial flow in a different currency than the ones your business primarily operates in. 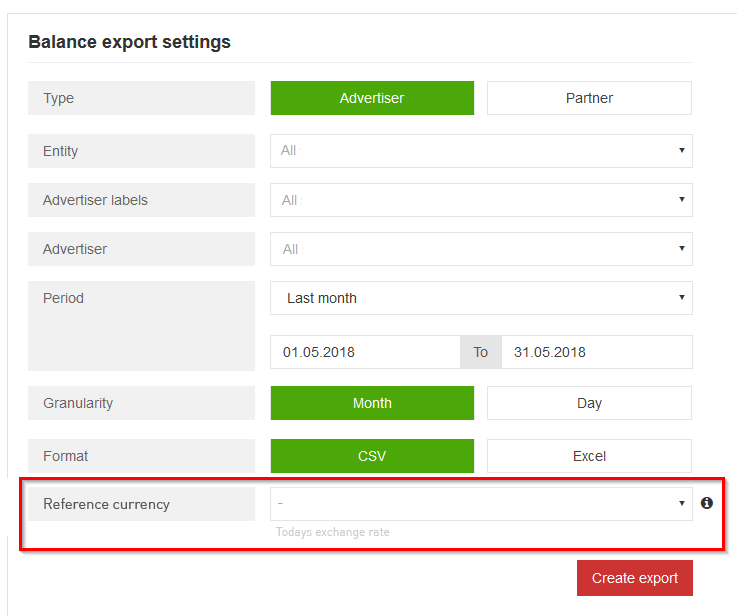 With our latest enhancement, you are able to select a reference currency for the account balance export in order to analyse and evaluate your finances in that desired currency. By selecting a reference currency, the finance module will calculate your data based on the present day’s exchange rate for that currency. 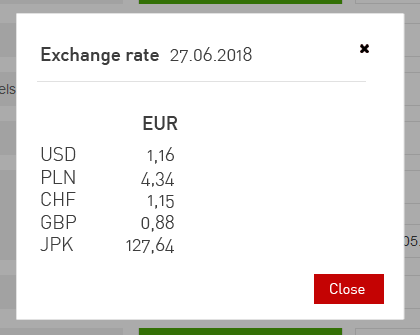 If you are interested in knowing the exchange rate used, simply click on “Today’s exchange rate”. The following pop-up will appear for all used currencies on your platform. How is the export affected?